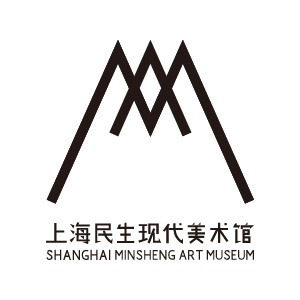 Listening to Transparency is designed as a scenography path gathering a set of audio and visual installations selected according to the architecture of Minsheng Museum designed by Jacques Ferrier for the French Pavilion at the Shanghai World Expo in 2010. Listening to Transparency brings together over thirty artworks pierced by light waves and sound vibrations, creating various listening situations and offering an active visitor participation. The idea of transparency that motivates this exhibition suggests a broad multiple meaning. In constant variability and relativity, it characterizes many areas of life as social, political, moral, aesthetic ..., with the objective of fantasy of full transparency. Consisting rather in a series of filters of reality, it induces at once a world of connections and transformations between multiple expressions, particularly between music and visual arts. In Les Fleurs du Mal (1861), Charles Baudelaire wrote: “Comme de longs échos qui de loin se confondent… Les parfums, les couleurs et les sons se répondent”. This idea has been constantly vibrating in the heart of the unconscious aesthetics of modernity (2). From the early twentieth century, the words of Charles Baudelaire have found a particular resonance in the work of Wassily Kandinsky and his quest of abstraction in art. Marcella Lista introduced the Musicircus exhibition at the Metz Pompidou Centre (2016): “Between 1909 and 1912, Wassily Kandinsky lays down the premise of a ‘monumental art’ where colors, sounds, words and gestures draw from their abstract future a possibility of unprecedented connivance from the baroque theatre.” For Kandinsky, this synesthetic relation is not so much defined in equivalencies, but in a dynamic complex relationship built on dissonance, that establishes a new state of correspondences. The great upheaval of abstract art is to have revealed the dramaturgy of time and space, to determine the position beyond the painting and to seek a pure perceptual experience in the art under the way of dematerialization. At the same time, many other artists like Frantisek Kupka, sought to enable these multiple sensory registers. But it is this dimension of scenography and spatial-temporal intersections that is involved, so the music and the visual arts have acquired this proximity today, that the protagonists of total art dreamed for, by all kinds of interferences, crosses, impregnations (3). The use of any kind of transparent materials, glass, light and liquid devices incorporating other translucent elements appeared throughout the twentieth century, will multiply, amplify both crossings between disciplines and generate original sensorial convergence. If the optical qualities of some materials constitute a breeding ground for these interpenetrations, the transparency has also extended to other areas of investigation, it’s in the heart of the effervescent world of communications and networks, up to proliferation of virtual spaces. The sound, purely vibrating and transparent space, has become the link of this exhibition. Translucent, it remains imbued with a true materiality like the “frozen words” described by Pantagruel in the book by François Rabelais (4): beautiful and poetic premonitions of the concept of sound object emanating from voices, clamor and din of battles frozen by the Glacial Sea. Music, through the constant synergies maintained by technology, occupies the central place in the construction of these mixed territories. Music went on developing as an art linked to technology through complex and innovative mechanisms. From the eighteenth century, for example, several machines were invented, such as “ocular harpsichord” (clavecin oculaire) of Abbé Louis Bertrand Castel, intended to create colored music. The twentieth century is full of these new musical instruments factories, as octophonic piano and luminous-colored projections of Vladimir Baranov-Rossiné. In the 1950s, music has become the first digital art, by the use of the computer for composition and synthesis. This period is also marked in France and Germany, by the beginnings of concrete and electroacoustic music (tape music to the USA) that liberated the musical sound from a purely instrumental and codified origin, while projecting it into multidimensional space. Then, the generalization of digitization processes has accelerated a process of dematerialization of artwork, till the interoperability of each of its elements. Everything becomes lighter, disembodied, mobile and transparent. Between tangible and virtual, to the transparency of listening itself, where the sound is revealed by attention to silence, the collected installations make reference to improbability of borders and genres, they express a state of diversity of relationships between artistic fields, whenever they are autonomous, more or less remote, dissonant or fully integrated. Therefore, some artworks are immersive and fusional, from orphic or synesthetic obedience. The others are like architectures that combine the visual and the audible within clearly identified and differentiated trajectories, or are deployed sometimes into more immaterial areas. This porosity of expressions leads us, in the end, to our worldview and our participation in a reality, henceforth connected, where a part of ourselves is now thrown into the “cloud”: humans became involved in a floating world. In another space-time dramaturgical process outlined by Wassily Kandinsky, a tremendous growth of communications that born in the mid nineteenth century has profoundly changed the relationship to space and time, developing a state of ubiquity. Almost two centuries to build a kind of global brain where everyone would be in an interconnected status and permanent exchanges ... absolute transparency. “Since the discovery of electromagnetic waves and wireless radio technology, we are in a discordant symphony of magnetic fields from our computers and electronic gadgets, from Wi-Fi waves until the satellite coverage (5).” In this infosphere cited by the Dutch designer Richard Vijgen, a complex network of signals, there is a wired and wireless network around us: our lives became digital dependent on it. This space data, completely imperceptible and invisible to any physical perception, however, it constitutes a persistent environment and stays in the opacity. We operate in this unlimited field data, continuously expanding, through a communication that is more and more fluid with the availability of increasingly more powerful tools such as smartphones. But with the emergence of new powers and regulations, it gets out of control of our personal sphere and shapes insidiously our daily lives. The omnipresence of networks not only causes a pervasive consumerism; but with the ease of crossing the world, where everything is instantly accessible to each individual, where everything would be quantifiable, it transforms the human in a spectator of himself and of his surroundings. This creates an individual desynchronization process in relation to the speed of the world: “everything goes too fast”, the sociologist Hartmut Rosa writes(La Découverte 2010 Paris Accelerating. A social critique of the time), even if the brain has demonstrated the proof of an adaptation. This is the paradox inherent to the idea of transparency that is growing only through the production of large power filters. To show the tangible and its most varied hybridizations with digital fluctuations, to reintroduce sensitive in the virtual, is a way to humanize this evanescent world and (re)embody our planetary vision henceforth. Thus, Listening to Transparency will mix virtual territories and ecosystems to objects and environments of the ancient world: the sensible of the infosphere. Many of these installations use translucid materials (such as glass, water) through their sensitive and digital aspects, or use lighting systems (LEDs ...), reflecting in this way the optical state of the transparency concept and his power of interpretation of the visible, in reference to its etymology, the latin “trans” (over, through) and “parere” (seem, appear, show). If an object can be described as «transparent» in so far as it is allowed to penetrate by the light, there is always an absorption effect more or less important, as filters of various grades and thicknesses, a kind of transfiguration of visible reality. « – Comment? vous n’avez pas de verres de couleur ? des verres roses, rouges, bleus, des vitres magiques, des vitres de paradis ? Impudent que vous êtes ! vous osez vous promener dans des quartiers pauvres, et vous n’avez pas même de vitres qui fassent voir la vie en beau ! ». Thanks to its bright and spatial qualities, from Joseph Paxton’s Crystal Palace (World Exhibition in London in 1851) to the pavilion Werkbund in Cologne Bruno Taut (1914), glass has emerged as the emblem of industrial and architectural modernity. The idea of the glass house will inspire many projects, becoming the subject of a scenario of Serguei Eisenstein, taken for the eponymous installation of Thomas Leon, “Glass House”. It is raised as a powerful glass building, kind of hybrid architectural monster with countless reflections and halos, surrounded by organ tones of Crystal. In another way, as a daydream, a runoff of golden leaves sound writings on glass plates by Denys Vinzant(D’Ore et d’Espace) create a space of lines, light and sound intersections, while mixing with visitors’ silhouettes and halos. Iuan Hau Chiang takes us on a journey that combines other types of interactions and connections, those of the individual and his social and personal environment, where light and all kinds of vibrations configure our identity. Seeing is Believing presents itself as a frame emerging from the ground. These sound mobility lights propagate in space to go, becoming overpower in the The Fall of the Angel by Pierre Alain Jaffrennou, mobilizing all the attention of the visitor who becomes a witness, with every fall of a drop of water along a laser beam of a singular event. It is through the power of transformation and filtering of reality (from occultation to embellishment) that the state of transparency makes sense. An image, projected with the help of various supports, from the magic lantern to the cinema and to the digital methods, has its origin in the transparency of glass and then in a film. Throughout the twentieth century, a kind of a poetry of a sensitive plate has developed in multiple forms, such as photograms, and other rayographs, or with X-rays, proceeding from the shadows or the absorbance of an object, of a body. So, we enter the area of alteration, of traces, the area of remanence and impregnation. In the installations of Pascal Frament and Iuan Hau Chiang with Christian Rizzo, the work on traces evokes this obstinate research of materialization of thought and of its physicality through countless attempts to fix the image that exist since the last decades of the nineteenth century, and through the attempt to tend to an immediacy of the exchange, from brain to brain. This is also the time when, by the invention of X-rays, the body envelope becomes transparent, fluid, light, in analogy with the body made of smoke which disappears with every attempt of movement of the choreographer Christian Rizzo in FOM1. In this way, the moving and evanescent images of “Ici même...” settle us in an uncertain atmosphere, between visible and invisible, like a navigation in the area of ether. As the industrial development of communications has operated unimaginable the coincidences between space and time previously, allowing instantaneous communication at a distance, the history of music in the twentieth century has made the same decisive mergers. Music, art of duration, establishes determinant connections with the visual arts, that impose itself as an art of space. As noted, several studies, dating back to the eighteenth century in Europe, searched to fix links between music and the visual (Music for the eyes of Athanasius Kircher, tests on vibrating plates of Ernst Florens Chladni ...): they converge on research of translucent materiality of a sound space. The music of the twentieth century will definitively consecrate the vector of space in the musical process. Since the 1950s, concrete and then electroacoustic music used some devices of multipoint speakers to project the amplified sound. It evokes the terms of sound architecture, of trajectories and depths in the dissemination area. As for the orchestral configurations, among countless examples, the music of Edgar Varese and the great works of Iannis Xenakis (Terretektorh in 1966), (Nomos Gamma in 1969), operate a spatial distribution of instruments among the public, in the form of “raindrops constellations” or deployment of a “swarm of bees”. Totally transparent, the sound space nevertheless acquires real materiality by imposing as the central parameter of the current musical writing and the whole movement of Sound Art. In a microscopic and introspective point of view, spectral music, referring to the notion of harmonic spectrum, lets us enter into the depth of sound, sculpt the real sound material, instead of stacking bricks and layers (Tristan Murail). By analogy with the spectrum of colors made of the frequencies of the light waves, the spectrum of a sound is formed by the set of harmonic frequencies that compose it, audible or not (6). From the inner space of the sound to its diffusion through a loudspeakers orchestra, contemporary music offers unheard perspectives, draws convergent lines and develops listening construction plans. The concept of perspective in the visual arts, etymologically linked to that of transparency (“perspicere” in Latin means “see through”) is available as much in terms of sound as of visual architectures (7). Most of these installations presented designed sound architectures supported by spatial systems. In multiple perspectives, Trafik and Yann Orlarey’s 72 Impulse, composed of 6 structures and strips of LEDs and tools-impactors projects in multiple graphic, plastic and sound lines. 72 Impulse is a crossing where sounds have never timbre nor pitch, where lines and volumes construct and deconstruct in a sidereal atmosphere. The public is requested to create several combinations, as in GreenSounds(Pierre Alain Jaffrennou), or experiment the acoustic space by equipping one of “Schizophones” of Pierre Laurent Cassière. Silence and transparency, beyond what the first reveals about the other, share the same statement: total transparency and integral silence do not exist. Among questioning about an artwork, its status, the role of an artist, the piece 4’33’’ by John Cage presented for the first time in public in 1952 is an invitation to the essence of listening by the apprehension of silence (8). This piece is inevitably disturbed by outside noises, rustling of the public, since the score indicates to the pianist to close the keyboard cover, stand still and make no sound during the three parts of the work on a total duration of 4 minutes and 33 seconds. Thus, the experience of silence inevitably sends us back to the noise emission, at least our own heart beating that one would feel in an anechoic chamber (silent room without echoes or electromagnetic waves). What is more transparent than the silence of John Cage (Philippe Junod - New variations on transparency)? This music score filled with empty is an ultimate test of transparency that would be the experience of the silence that denies itself, since the public is invited, every interpretation of the play, to focus on what this silence windows suggests. It is in this sense, involving the gaze of the listener, that 4’33’’ by John Cage is revisited by Manon de Boer in the installation “Two Times”. The more sensitive attitude of Luc Ferrari, with the series of electronic music gathered under the heading of “Presque rien” invites us to other listening situations, acting as an in-between, between the observation of a (sound) landscape, its random configurations and subtle musical organization that was brought out by the composer. Luc Ferrari combines “an apparent sound freedom of unpredictable events with harmonious architecture of a secretly ordered polyphony” (Daniel Caux / Preface CD “Presque rien”). In a kind of intellectual variation of Luc Ferrari’s “Presque rien”, where the unpredictable is central, the recording of the imperceptible characterizes the approach of Dominique Blais through the capture of electromagnetic waves in the open Arctic Circle. The resulting installation “The Ellipse” inverts the use of the microphone, which becomes sound source, inviting the visitor to a delicate and fragile listening: “the passage of sound which appears as a crack or a spark, evokes in its succession the idea of an infinite cycle”. The artworks of Michel François also have an interactive relationship of sound to silence, presenting situations and events already produced or waiting to be. To Walking through a line of neon lights, the public is projected in the steps of the walker, feels the change of state of the glass breaks and crunches everywhere, without any noise. Retenue d’eau and Retenue d’eau noire of Michel François, still, silent and whose outcome is not written, induce an alternation between lightness and weight, emptiness and transparence, waiting for an event. The suspended and silent score of Matt Coco, Fantôme is consisted of a roll of about thirty meters long, playing with empty and the absence of sound. The installation is based on the breakup of the image of a landscape and its recess. It suggests an imaginary listening, from a technique of hollowing out a form and keep only the full, the remaining material is so called “phantom”. More discreet, and equally silent, the video projection Seeing is Believing by Iuan Hau Chiang puts us into these spaces confused between real life and virtual world, soliciting directly the architecture of the exhibition space. With “Thinking” of Xiao Yu, the route of Listening to Transparency includes several installations where the sound directly calls in our imagination. The energy of exploded bamboo of “Thinking” refers to (sound) tensions from the past and future, already felt to the artworks of Michel François. With the evolution of new technologies in synergy with the different fields of creation, including the digitization of materials, audio and video have become inseparable and constitute a single artistic project, as far as developing eco-systems where all the data create a dynamic of self-generation that can be supplied by public participation, via smartphone or web platforms. GreenSounds and “Smartland” propose us to share music flows that are always mobile, in electronic processes and in perpetual renewal. Pierre Alain Jaffrennou invites us for a walk in a vegetal universe of parks and gardens in his GreenSounds installation. The notion transparency is considered here as a “transportation”, as this artwork consists in a metaphorical recreation of natural environment, a transfer of sound and visual landscape, that echoes a permanent installation situated in the Gerland Park in Lyon. GreenSounds takes its sources in a huge library of digital sounds and it constructs a specific world between the reality and virtuality: a mixture of sounds of insects, little animals and the other ones with a cultural character, or the last ones, that sound quite ambivalent in the heart of vegetal wealth. The composed result, calculated in live by the computer, is totally unforeseen and always renewed. With the help of a smartphone supplied with sensors of movement, a visitor can interact to a sound elaboration, to its space spread and its development. “Smartland” consists of smartphones and rods selfies, in the manner of a field of fireflies is an ecosystem, in bioluminescence, in contamination (sound and light) from one being to another. Spectators can influence the behavior of ecosystem by their smartphones (it can be silent, can wake up ...). In the digital territories, the possibilities in terms of meetings, mixtures and metamorphoses seem limitless. The work, in the form of installation, has become polymorphic, which can be all at once touched, immersive, interactive, moving. Thus, visual and sound may at the same time strengthen, “increase” or erase one another: mobility interferes in several artistic fields, sliding from one perception to the other, making a multitude of physical sensations until to allow us to enter in an assembly of invisible links. Paradoxically, Horizon of Gregory Chatonsky reminds us that “the network consists of a heavy physical infrastructure of cables from one continent to another and data centers that concentrate Internet data”. Digital life has opened unsuspected areas, it has given birth to an explosion of expressiveness, it leads to self-improvement, it breathes life into shared spaces and constantly calls us to move into the vastness of the Web. 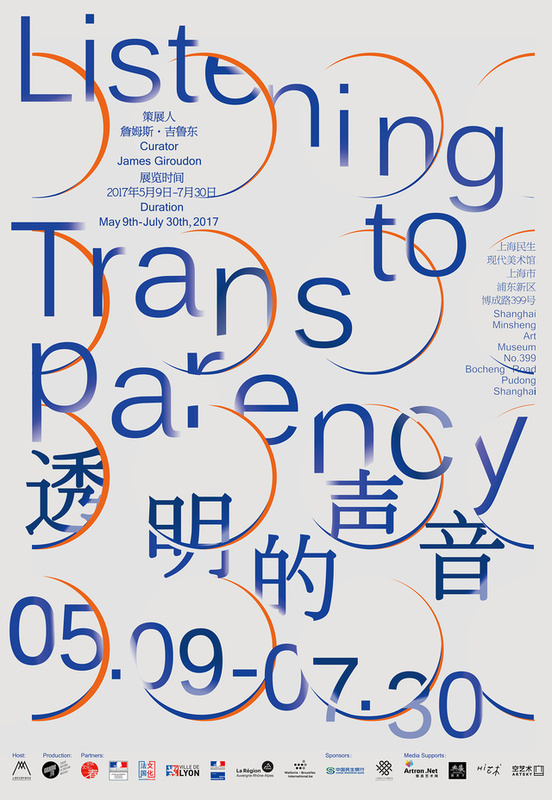 As the title of the exhibition suggests, transparency, inherent to this widespread digitization, has become a norm: an active global model in all spheres of society, producing, on the other hand, some opposite consequences to the object which it declaims. Many studies about digital society mention the process of homogenization and reproduction of social relationships, growing inequality, and an increase in role playing. Sociologist Dominique Cardon analyses the effects of masks, induced by an evasive algorithmic logic: “The operating of the algorithms is a well-kept secret. The more individuals are transparent, the more their observers become opaque (9)”, as if the uncovered realities were evolving in a world adrift, without any discernible causes or origins. Everything is here and everything is slipping away… This investigation of visibility is based on opacity, which is effective enough to stay hidden from our eyes, to preserve its strong power, and to get away from all individual efficient control, even for a human with an « increased » brain. Due to the acceleration of time or due to its multi-fragmentation, as well as to the exponential accumulation of data, transparency reveals the noisy and hasty conditions of the world, but it doesn’t make the world clearer to understand. At the time of social networks, when everyone is in a continuous exhibition, it is an illusion that results from this confusion between the truth and transparency: the latter proceeds by data accumulation and by filtering more and more perplexing realities. Transparency makes us forget about the opacity, penetrating these digital swarms (10), but also about the fact that each search for the truth is accompanied by secrecy and selectivity. On the contrary, it establishes an implicit protocol about the idea of total transparency, or about what it tends to become. Thus, this transparency would raise the faith, as it was before with the stained-glass windows of cathedrals. Taking the opposite view of this imposing dogma, the exhibition transports us through numerous situations into translucent spaces that blend with more obscure areas: it encourages us to become an observer of sound and image and to lift the curtain on sometimes imperceptible territories. Yes, the world is becoming more transparent, insofar as it has never been so immaterial and reactive at once; but this condition ignores the existence of organic and constant relations with a dissimulation process (11). Following one another on the four levels of the museum, passing through a sensitive area and exploring some of the mentioned ambiguities, the majority of artworks are focused on optical properties of materials, alternating light and darkness, immediacy and moments of slowness; they confront virtual spaces, ecosystems, tangible realities and resonances of light, they draw some possible and unpredictable paths, constantly varying, full of reflections and reminiscences, all the way until the listening to the silence and the perception of the ineffable. “J’ai toujours tellement aimé le verre, qui est une espèce d’eau solidifiée, tangible, intangible entre nos doigts, une fragilité durable, une contenance spirituelle ... Le verre c’est du souffle solidifiée, la frontière que se trace à elle-même, limitée par le dessin, l’expiration de notre haleine” (12). 2) Les apories de l’art total : artiste, société, temporalités - Université Paris I-HiCSA et INHA - Janvier 2012 (Sous la direction de Julie Ramos et de Maria Stavrinaki). La conjonction des arts est loin de se limiter à la modernité et traverse toutes les époques historiques et, probablement, les aires géographiques. Pour autant, la formulation du projet de sa « restauration » coïncide bel et bien avec l’acte de naissance de l’art total et survient, en tant que tel, à l’ère moderne : concevoir et réaliser un Art qui puisse réunir les arts ; un Art qui sache réunir les hommes. Le projet d’un art total serait donc, dès l’origine, fondé sur un manque, un défaut, une aporie. Issue des idéaux des Lumières, forgée dans le creuset du romantisme allemand, l’idée d’art total, revendiquée, refusée, occultée, voire refoulée, Si Wagner lui donne son nom en 1849 (Gesamtkunstwerk), l’idée apparaît autour de 1800 et survit à la création de Bayreuth. L’union des arts et les collaboration artistiques ne suffisent toutefois pas à qualifier l’art total. L’idéologie qui le sous-tend, celle d’une unité esthétique de l’art, d’une unité ontologique et politique de l’homme et de la communauté, celle, enfin, d’une histoire dotée de sens, méritent d’être interrogées dans leurs tensions et leurs apories. 3) Dans ce même texte introductif, Marcella Lista cite « L’appel pour un art élémentaire » publié en 1921 par Raoul Hausmann, Hans Arp, Ivan Puni et Lazlo Moholy-Nagy qui « annonce l’usage des technologies issues de l’électricité profitant à une nouvelle écriture, aussi réduite que possible, qui condense la sensorialité démultipliée de la modernité ». Autre recherche de « correspondances », dès les années 20, « la notion d’ « élémentarité » formule très précisément les enjeux d’une intermédialité issue de l’abstraction » prônant « l’hypothèse d’un dénominateur commun entre les arts du temps et de l’espace … avec la recherche d’une proximité psychique immédiate entre l’œuvre et le spectateur qui en fait l’expérience ». grosse et félonne bataille entre les Arismapiens et les Nephelibares. des hennissements des chevaux et tout autre effroi de combat. et semblaient dragées perlées de diverses couleurs. Nous y vîmes des mots d’azur, des mots de sable, des mots dorés. 6) …la peinture relève d’abord de la transparence littérale. Glacis, aquarelle, aérographe, palimpseste sont ici autant de procédés et de techniques qui laissent transparaître le fond et favorisent la superposition et l’échelonnement des plans en profondeur. On sait d’autre part que la fenêtre ouverte est un motif récurrent dans l’iconographie occidentale, et que la perspective est liée étymologiquement à la transparence puisque « perspicere » signifie « voir à travers ». 7) Michael Lévinas dénomme comme « phénomènes psychoacoustiques spectraux » la transparence. Elle se conjugue avec le transparaître qui est une sorte de métamorphose ( « la transparence» engendre souvent le « transparaître», dans le fait qu’un timbre se manifeste à travers un autre, et non pas qu’il se superpose … (2/7), mais que l’un est transformé par l’autre dans le temps). 11) Heidegger, « Zur Sache des Denkens », Tübingen, 1988, p 78, cité par Byung-Chul Han, op cit page 58 : « La vérité « heideggérienne a un penchant pour la dissimulation. Elle n’est pas d’emblée disponible. Elle doit d’abord « être » arrachée à son secret. La négativité du secret est inhérente à la vérité, elle en constitue le cœur ».